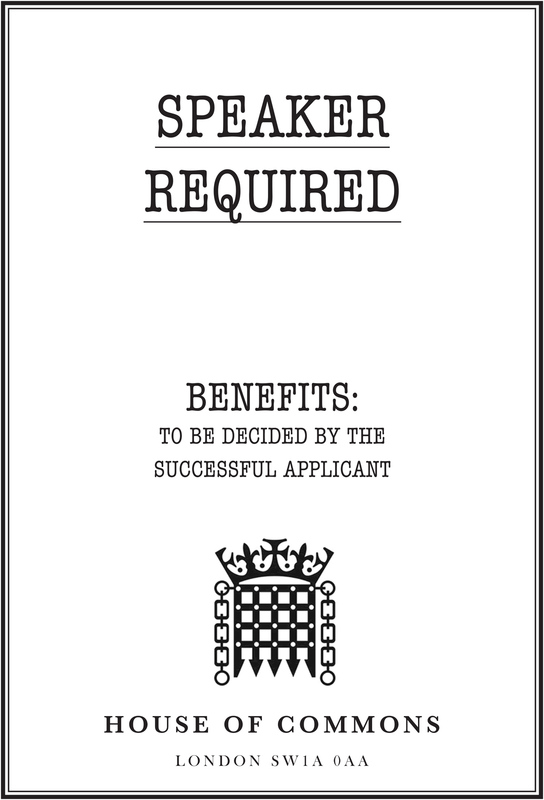 At the height of the MPs expenses scandal, The Drum ran a competition calling for concepts for recruitment posters to fill the vacant position of Speaker Of The House at the Houses of Commons. Here are my three entries. I seem to recall one of two made it into the magazine. 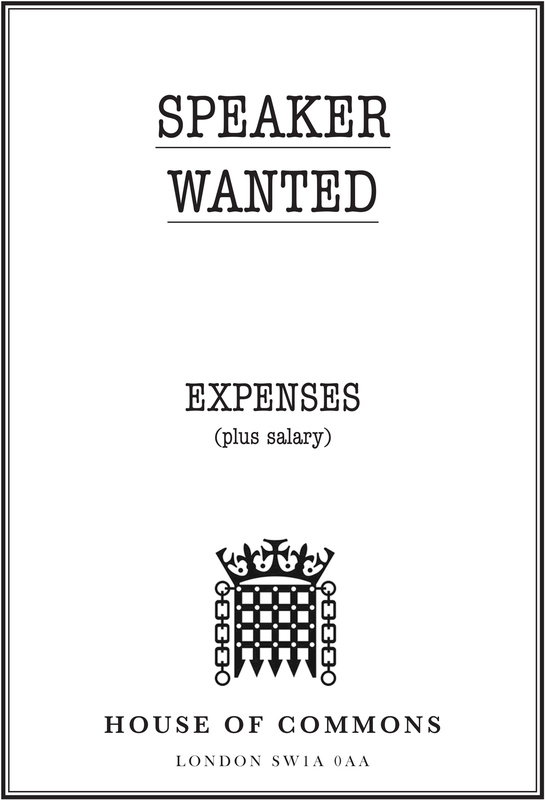 The House of Commons is in disarray after the expenses debacle and the Speaker of the House Mr Michael Martin has resigned from his position. 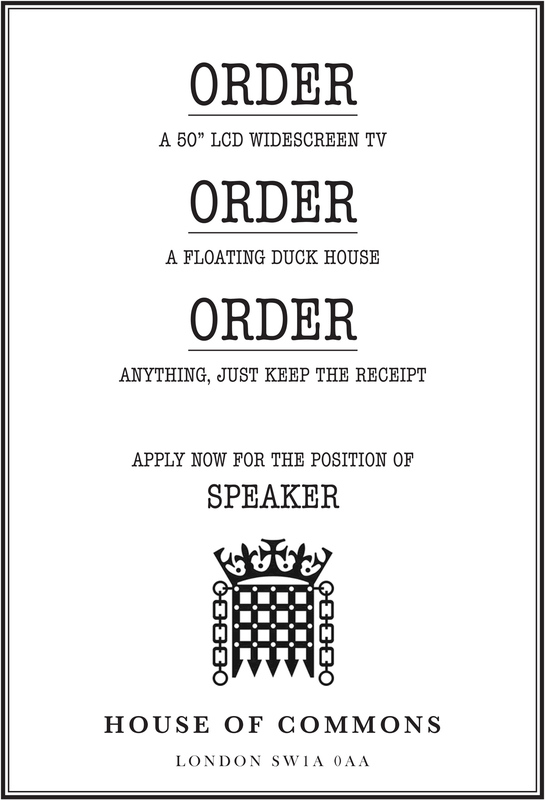 The House needs you to create a recruitment poster to identify fitting candidates to stand to become the new Speaker to the House. NB. A full clean driving licence is not required for this post, as you can (probably still) claim for a chauffeur.